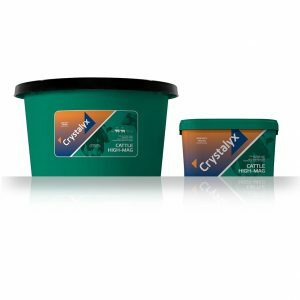 Crystalyx Optimum is a very high energy lick designed specifically to provide selected key nutrients to help stimulate the appetite and dry feed intake in freshly calved cows. Optimum helps improve energy balance in early lactation by providing a source of rumen-bypass energy for the cow. 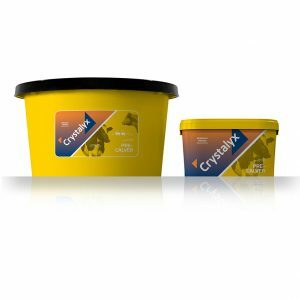 Early Lactation: Maximising appetite and dry matter intake in early lactation is the key to healthy and highly productive cows. A period of negative energy balance occurs in early lactation when a cow’s appetite lags behind the increased energy and nutrient requirement for milk production, meaning that the cow milks off her own back and subsequently loses condition. This excess mobilisation of body fat can result in ketosis and fatty liver and lead to an increased risk of milk fever. 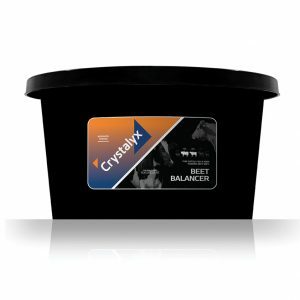 Optimum readdresses this balance by increasing forage intake and digestion therefore giving the cow more energy to utilise. Optimum also contains other proven buffers, including live yeast, which helps prevent the build up of lactic acid that can cause acidosis. This stabilises rumen pH within Optimum limits and reduces the risk of digestive upsets, ensuring feed intake is maximised to support optimum heath, fertility and lactation. Research carried out at University of Agriculture, Kracow, Poland and the University of Parma, Italy have confirmed that feeding Crystalyx Optimum in early lactation stimulates the return to oestrus significantly reducing the calving to conception interval.